Metso will present its extensive metal recycling product offering at the ISRI Convention and Exposition 2018 taking place April 14-19 at Mandalay Bay in Las Vegas, Nevada. Metso experts at the event will advise on how to choose the most suitable equipment for different types of metal recycling needs to secure optimal process efficiency, sustainability and reliability. Meet Metso at Stand No.1239. "At ISRI, we are addressing key trends in the metal recycling industry in North America. We are committed to driving sustainable improvements in performance and profitability in our customers' businesses," says Keith Carroll, Vice President, Metal Recycling North America, Metso. The common denominator among all Metso processing equipment solutions is their high efficiency and low energy consumption, and they are globally recognized as the benchmark for their product types. Likewise, their state-of-the-art technology, comprehensive service setup and the highest safety standards are appreciated and acknowledged by the industry. This is exemplified in Metso being named as AMM's Scrap Equipment Provider of the Year for 2017 and being named as a finalist again for 2018. In the last year and during the first quarter of 2018, Metso has continued to grow its installed base in North America and globally. In North America, for example, a customer in the Midwest commissioned their new Texas ShredderTM equipment. Several customers in Texas have chosen Metso N-SeriesTM products, including two NIS Incline Shears and the first US-installed NCS Shear/Baler/Logger. 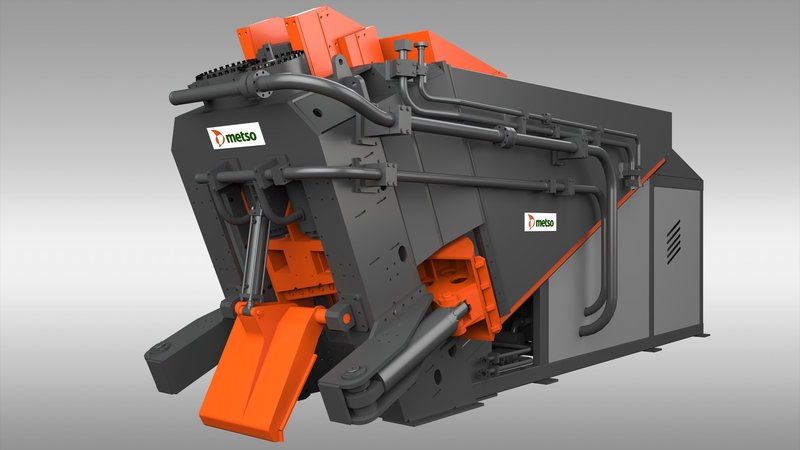 Orders are in production to deliver and install new shears in the Western and Midwest US as well as the first Lindemann EtaRipTM PreShredder this fall. Internationally, the company has sold three new shredders to China, multiple shredders, shears and balers in Europe and Asia, and approximately two dozen Metso N-Series products all over the world. In total, over 150 Metso shredders are currently in operation in North America alone, which represents about half of the total operating capacity in the market. Additionally, through the Lindemann and Metso N-Series brands, there are over 40 shear and baler installations currently in North America. To better serve smaller and more price sensitive mid-market operators, Metso introduced the N-Series line of shears and balers in 2016. These machines offer many of the same features and benefits as the Metso Lindemann line of shears and balers and are fully supported by Metso's global engineering and service teams. The N-Series product range includes the NIS Inclined Shear, NCS Clamshell Shear/Baler/Logger, NMS Mobile Shear/Baler/Logger, NTB Triple Ram Baler, NLB Lid Baler, and NBS Box Shear. These products offer robust performance for smaller operators and for niche industries. The NIS Inclined Shear, for example, has proven itself as an excellent solution for shearing reclaimed rebar from C&D (construction and demolition) sites, which is historically a very challenging material to process. Metso's offering for metal recycling is among the most comprehensive in the industry. 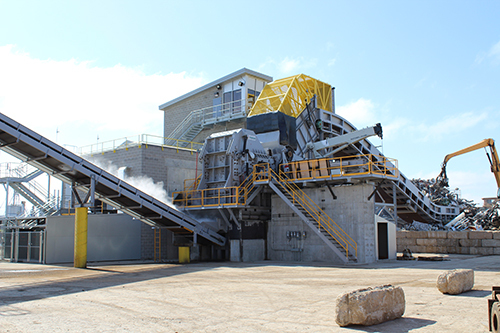 Metso offers a full range of pre-shredders, automobile shredders, shears, balers, and briquetters, along with complete capabilities for developing custom solutions for its customers' ferrous and non-ferrous scrap processing needs.